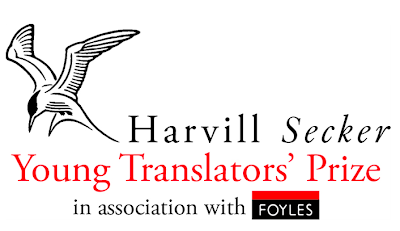 The Harvill Secker Young Translators’ Prize was launched in 2010 as part of Harvill Secker's centenary celebrations. It is an annual prize, which focuses on a different language each year, with the aim of recognising the achievements of young translators at the start of their careers. For the 2011 prize Harvill Secker has teamed up with Foyles, and the prize is kindly supported by Banipal. This year’s chosen language is Arabic, and the prize will centre on the short story ‘Layl Qouti' by Mansoura Ez Eldin. I looked at the short story, available as a PDF download, and its only four pages. If only my Arabic were better! Deadline for entries: Friday 29th July 2011. Good luck to those who participate.